1.1. All other terms and conditions express or implied by statute or otherwise, are excluded to the fullest extent permitted by law. 1.3. Acceptance of materials, goods or services is deemed to be acceptance of these conditions of sale. Any terms sought to be imposed by the Purchaser, either in a document or otherwise, that conflicts with or adds to these conditions is not accepted. 1.4. We may from time to time change, alter, adapt, add or remove portions of these terms and conditions but if we do so we will post any such changes on the website. 2.1. Any concession or waiver made by Chihuahua World UK shall not prejudice the exercise by Chihuahua World UK of its rights hereunder. 2.2. The un-enforceability or invalidity of any one condition shall not affect the enforceability of the remainder. 3.1 Materials, goods or services shall be paid for at the time of purchase and at the price ruling at the point of sale. 3.2. Chihuahua World UK reserves the right to (without prejudice to its other rights and remedies) either to terminate this contract or suspend providing materials, goods or services in the event that the Purchaser fails to make a payment or when the same becomes due or the buyer’s financial position becomes unsatisfactory in the opinion of Chihuahua World UK or the Purchaser goes into liquidation or has a receiver appointed or (not being a company) has a receiving order made against them or enters into an arrangement or composition with creditors. In this instance all outstanding monies owed shall be become immediately due and payment is to be made in full. 4.1 Chihuahua World UK will use its best endeavours to supply and deliver the materials, goods or services that form part of this contract at the time of payment, but such is the nature of online electronic transactions and deliverables that that such time scales are not to be the essence of this contract. Should the online payment transaction fail or the delivery of materials, goods or services for any reason be unavailable, please contact Chihuahua World UK and we will endeavour to retctify the situation at the ealiest possible opportunity. If owing to non-availability of the materials, goods or services any other cause beyond Chihuahua World UK ’s reasonable control, either party shall be at liberty to determine the contractor part thereof by giving notice in writing to the other. Chihuahua World UK reserves the right to substitute discontinued materials, goods or services with current materials, goods or services of equal or greater value and automatically provides this service unless otherwise notified in writing. All goods and services are subject to availability. Generally, items will be despatched within 1 - 2 days from receipt of your order/payment with the exception that items that are specifically manufactured to order may take up to 8 weeks before they will be despatched. When you place your order/make your payment we may advise you of the anticipated delivery date and we will keep you up-to-date on the progress of your order. 5.1. Title to and property of materials, goods and services (at law and in equity) will remain in Chihuahua World UK until such time as Chihuahua World UK receives full payment for the materials, goods and services. 5.2. Except as otherwise agreed in writing, from the time of payment for the materials, goods or services the risk of loss or damage to the materials, goods or services shall be borne by Chihuahua World UK , following delivery thereafter the materials, goods or services shall be at the risk of the Purchaser and shall keep them fully insured where applicable. 6.1. 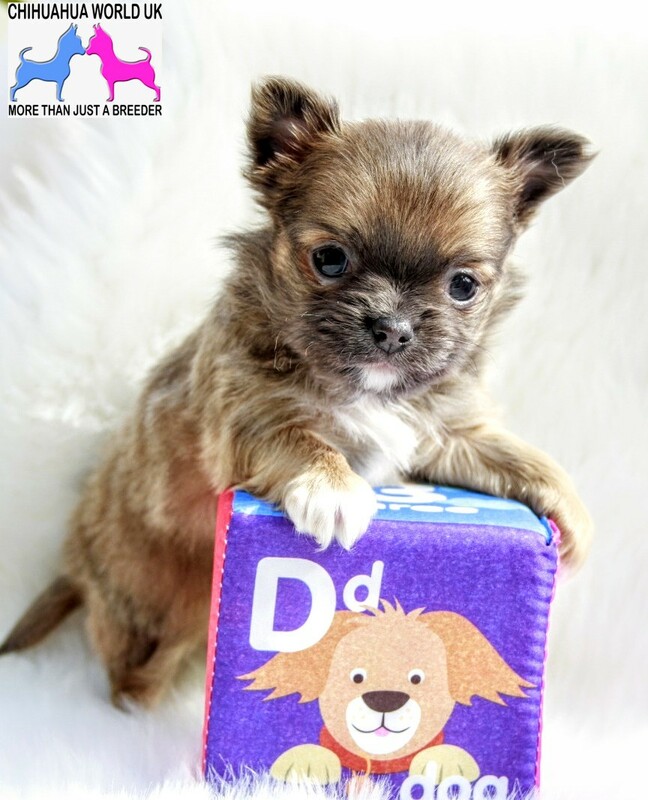 Chihuahua World UK gives no warranty as to the suitability of downloadable electronically delivered materials, goods or services for the intended purpose over which we have no control. Freely available versions of certain goods or services may be available from our web site which may be used to ascertain suitability for such purpose as might be envisaged. 6.2. Where any defect of the materials, goods or services has been found to have occurred due to the Purchaser’s installation, misuse or tampering, Chihuahua World UK shall have no liability. 7.1.4. Installation or use by the Purchaser and or their representatives of the materials, goods or services. 7.1.5. The above notifications are required to enable Chihuahua World UK to take remedial steps as the case may be of such damage, non-delivery or discrepancy and the Purchaser should be aware that failure to notify queries within the time limits set above may restrict and result in the inability of Chihuahua World UK to provide the Purchaser with evidence or proof of delivery. If the Purchaser fails to give the notices as required above Chihuahua World UK shall not be under any liability whatsoever arising out of any damage to, non-delivery of, or discrepancy in the materials, goods or services. 8.2. Any liability for breach of the obligations arising under any relevant section of the Sale of Goods Act 1979. 8.3. Other than as expressly provided in these Terms and Conditions Chihuahua World UK shall not be liable in respect to any loss or damage of any kind which may arise in connection with materials, goods or services delivered by Chihuahua World UK , however such loss or damage may be caused and whether such liability arises in contract or tort or by reason of any misrepresentation. No terms shall be included in the contract as to the fitness for any purpose or the satisfactory quality of any materials, goods or services received or delivered. 8.4.7. Power failure or breakdown in machinery or electronic online services. 8.5. These conditions shall not affect the statutory rights of a consumer under the relevant law of the United Kingdom. 9.1. 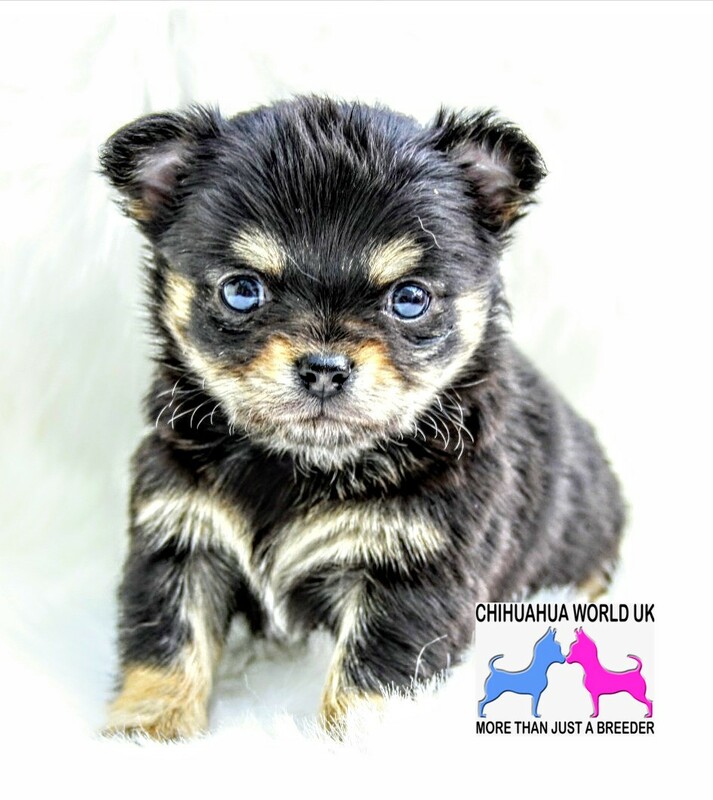 Chihuahua World UK will attempt to ensure that the information available on the website at any time is accurate. However, Chihuahua World UK shall not be liable for any errors or omissions. 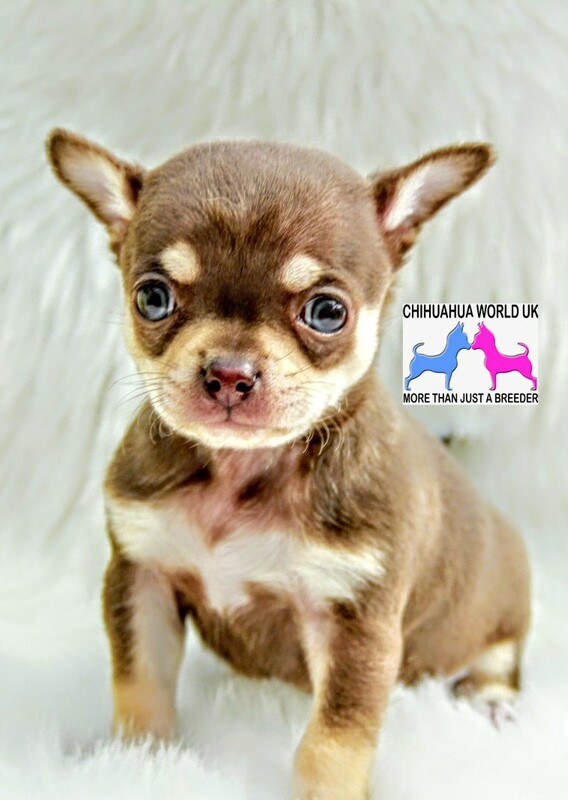 Chihuahua World UK will use all reasonable endeavours to correct errors and omissions as quickly as practicable after becoming aware or being notified of these. 8.2. All content, materials, descriptive matter and specifications of the materials, goods or services on the website are for the sole purpose of giving an approximate description of the materials, goods or services. 8.3. Chihuahua World UK may also change, suspend or discontinue any aspect of the website, including the availability of any features, information, database or content or restrict access to parts or all of the website without notice or liability. 9.1. The copyright of all material contained in the website and any trademarks and brands included in that material belongs Chihuahua World UK or its licensors. All other trademarks are acknowledged copyright to the respective owners. 9.2. You may download such materials or items displayed on the website for ascertaining suitability for purpose in such instances where intended specifically for the purpose subject to the condition that the material or items may only be used for personal non-commercial purposes. Use of freely available downloadable materials or items for Commercial purposes is not allowed. Copying or storing the contents of non specifically intended downloadable parts of the website is expressly prohibited. 11.1 All items that we sell are sold subject to the purchaser accepting our Term and Conditions of Sale that are printed on the reverse side of our Invoices, attached to our quotations or as shown on our Website. 11.2 Materials, goods or services offered for sale are described and displayed as accurately as possible. 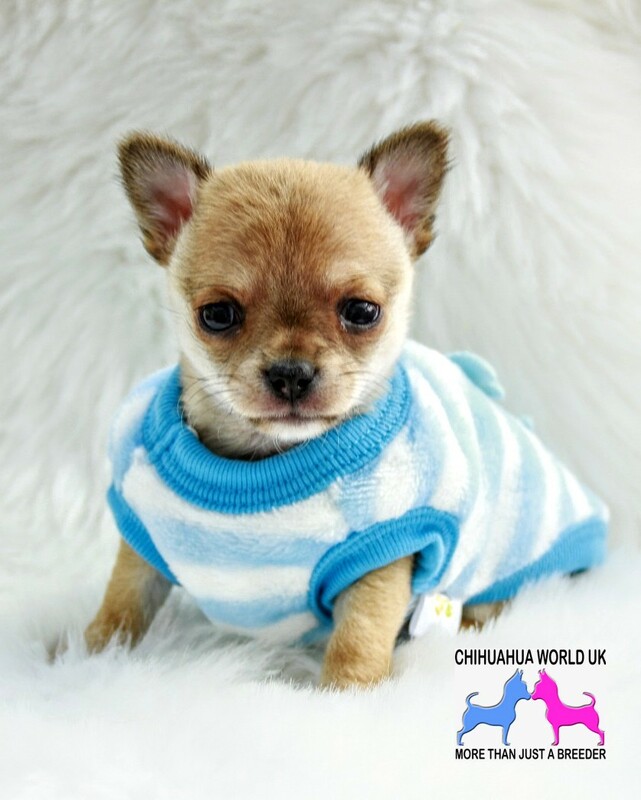 11.5 If you have a question or comment regarding our returns policy please contact us at shop@chihuahuaworlduk.com. 11.6 Nothing in this Returns Policy affects your statutory rights. We want you to be completely satisfied with your purchases. Please let us know if you are not entirely satisfied with our products or our service, so that we can rectify the situation. We try our best to ensure that the products supplied are as specified, although sometimes differences do occur. Items are described and photographed as accurately as possible, but please note that specifications, sizes, colours and designs may vary. Goods that are specifically bought to order can not in any circumstances be refunded unless the items are found to be damaged or fail to function as they were properly intended by the manufacturer. If there are any questions regarding our returns policy you may contact us using the information below. 12.1. If any part of these conditions shall be found to be enforceable it shall not affect the validity or enforceability of the remainder of the conditions. 12.2. This contract is made in England and shall in all respects be governed by and construed in accordance with English Law. 12.3. In respect of any dispute arising out of a contract of sale to which these conditions relate the parties submit to the exclusive jurisdiction of the Courts of England and Wales.